Something Delightful : Happy Halloween! Happy Halloween to all! 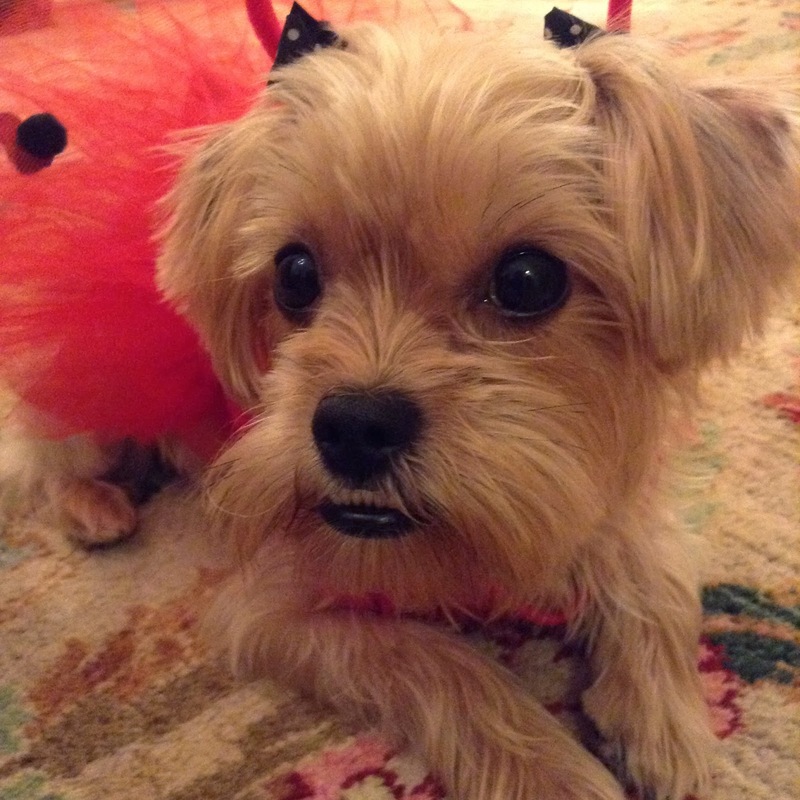 Jaycee and I wish you a day filled with tricks and treats. 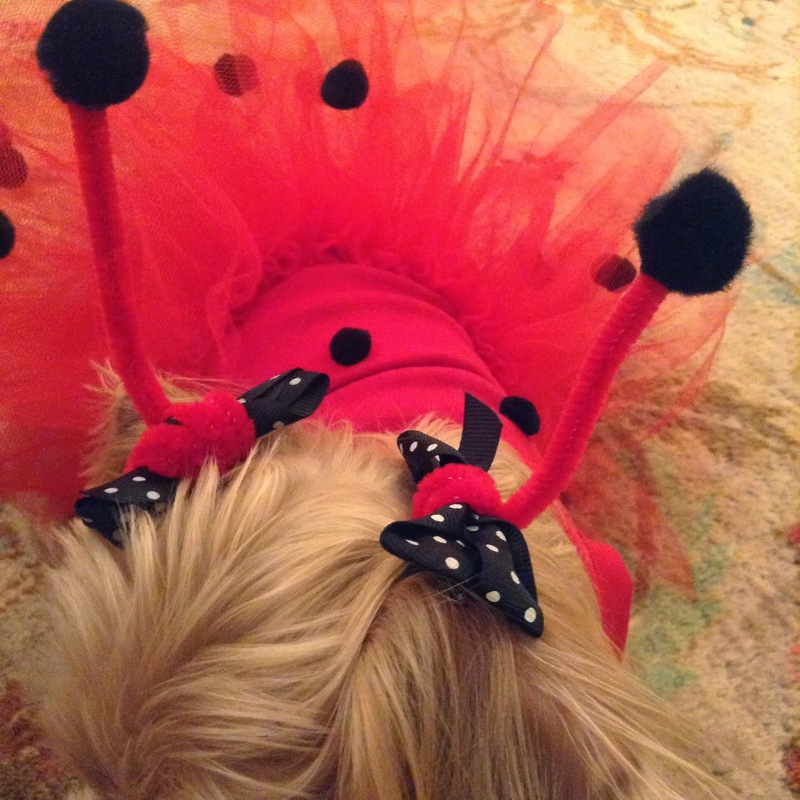 Jaycee is being a cute lil' lady bug for Halloween. We turned her antennas into bows. 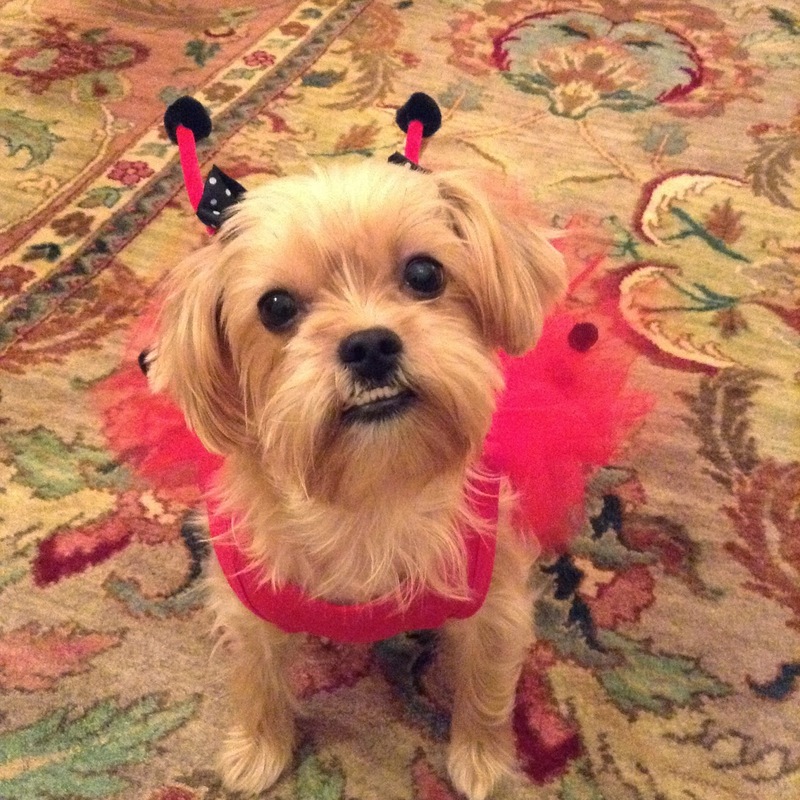 I think she'll be so cute answering the door with me for the trick or treaters. Hopefully she won't bark at every single one. My Halloween plans are nothing fancy. I'll answer the door for the trick or treaters and then go to Blue and White Ceremony for ADPi. We are having initiation over the next few days (Diamond Days), and one of the ceremonies falls on Halloween. Today I will be dressing festive as I wear my orange pants, white Lilly Elsa top, a Lilly Fancy Fest scarf (a black cat print), and a pair of black flats. And since Halloween falls on a Thursday, what better day for a Halloween throwback picture! Here's a #TBT to Halloween 1995, trick or treating with my big sister Hannah. I was Rapunzel and I believe Hannah was a movie star. Happy Halloween! What are your Halloween plans? She's such a cutie!! Happy Halloween, Rachel! Adorable pictures. I wish I could dress my dog up without her throwing a fit!